Nokia is one of the world largest mobile companies in the world. 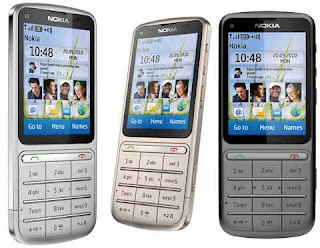 Their upcoming mobile phone, Nokia C3-01 Touch and Type is now available for purchase in the UK via T-mobile, Vodafone and O2. The Nokia C3-01mobile will support quad-band GSM, quad-band WCDMA, HSPA and WLAN. The mobile will be featured “Touch and Type” user interface which combines key pad functionality with touch display. The handset will come out with 5Mpix Full Focus camera with flash and support for up to 32 GB memory card the main features of the phone are Flash Lite 3.0, Bluetooth 2.1 + EDR and MIDP Java 2.1 with additional Java APIs. These network carriers sell the Nokia C3-01 for free if you are willing to sign a new 2-year contract agreement (£15 at T-Mobile, £20 at Vodafone, and £25 at O2) and the handset is also available via Nokia UK’s website as Pay As You Go (for £149.00 or around $240) and on pay monthly. 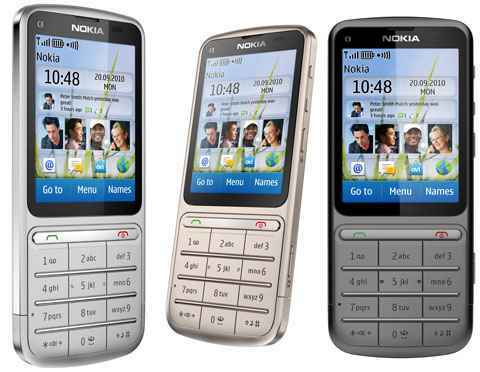 However changes have been made and upgraded Nokia C3 but the previous one with QWERTY Keyboard was the best !